Each Walt Disney Classics Collection sculpture bears a backstamp with Walt Disney's signature and production year mark. The marks symbolize major milestones in Disney history. 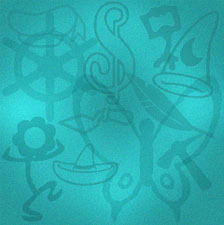 A production mark represents the calender year during which the particular piece is made. Individual sculptures of an open edition piece may carry different marks when production continues over the years. For the first production year 1992, the Walt Disney Classics Collection featured a steamboat wheel mark. 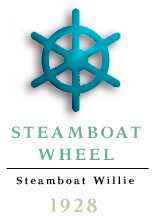 The wheel honors Mickey Mouse's debut in 'Steamboat Willie' (1928). The 1993 production mark is a treble clef. 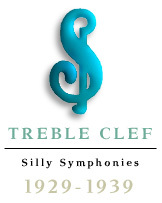 The clef symbolizes the music in the Academy Award-winning 'Silly Symphonies'. In them, Walt explored and expanded the artistic, technical and emotional range of animation. 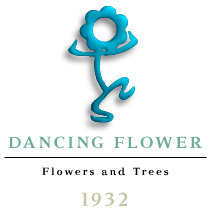 The 1994 mark is a dancing flower. The flower represents Disney's 'Flowers and Trees' (1932). This animated short is the first color cartoon ever created and won the first Academy Award for Disney. 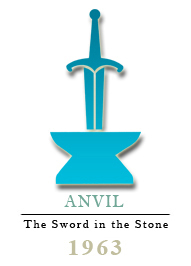 The 1995 mark is a trowel. 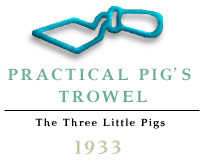 The trowel was used by Practical Pig in the Academy Award winning 1933 cartoon, 'The Three Little Pigs'. The short was a high point in character development and introduced the song, "Who's Afraid of the Big Bad Wolf," which was the first hit song for Disney. The 1996 mark is a sailor's hat. 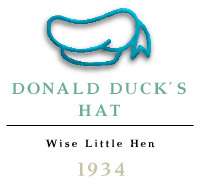 The hat represents Donald Duck's on-screen debut in 'The Wise Little Hen' (1934). "Who? Me? Oh, no, I've got a bellyache" With these eight words, the worlds most quick tempered duck was born. The 1997 mark is a music stand. 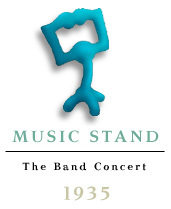 The stand represents Mickey Mouse's first color cartoon, 'The Band Concert' (1935). The cartoon is renowned for its superb character animation of band leader Mickey and mischievous peanut vendor Donald Duck. The 1998 mark is the pickax. 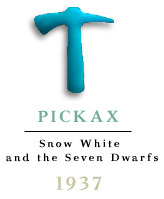 The Dwarfs' diamond mining tool from Disney's first (1st) animated classic 'Snow White and the Seven Dwarfs' (1937), helps celebrate the Diamond (70th) Anniversary of the Walt Disney Company. 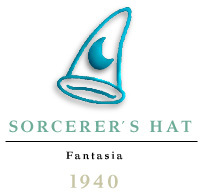 The 1999 mark is the Sorcerer's Hat. 'Fantasia' (1940) is recognized as one of Walt Disney's greatest experiments, combining the art of animation with the beauty of classical music. And of course, it's lauded for giving Mickey Mouse his most famous role as the Sorcerer's Apprectice. The 2000 year mark is a feather--- Dumbo's magic feather from 'Dumbo' (1941). The 2002 year mark is the sombrero. The sombrero was chosen in honor of the 1943 animated classic 'Saludos Amigos,' featuring this years members only figural release, Pedro! The 2003 year mark is the harp. 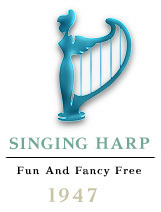 The harp was chosen in honor of the 1947 animated classic 'Fun and Fancy Free,' featuring the Harp from the segment 'Mickey and the Beanstalk' featuring Mickey Mouse, Donald Duck, Goofy, Willie the Giant and the Harp. The 2004 year mark is the bumble bee. 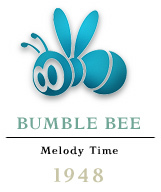 The bumble bee is from the 'Bumble Boogie' section of the 1948 animated classic 'Melody Time.' The Bee is the sole character, not so much a character as an 'experiencing object' - for example, he changes color according to the mood of the music and background. He first appears in sections, 'painted in' by an animated paintbrush. Many people believe that 'Bumble Boogie' owes an indirect debt to 'Destino,' the surrealist short which Salvador Dali and Disney attempted unsuccessfully to produce together. The 2005 year mark is Cinderella's glass slipper. 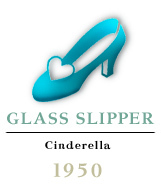 The glass slipper was chosen to honor Cinderella's 55th Anniversary. Released in 1950, it's considered one of Walt's favorite films. The 2006 year mark is the tea cup. The tea cup was chosen in honor of the 1951 animated classic 'Alice in Wonderland' from the 'Mad Tea Party' sequence featuring Alice, the Mad Hatter and March Hare. The 2011 year mark is the umbrella. 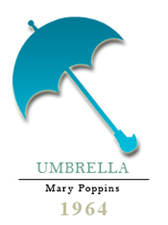 An umbrella was chosen in honor of the 1964 live-action film 'Mary Poppins.' Live action are films that combined both live action with animation. The 2012 year mark is the palm frond. 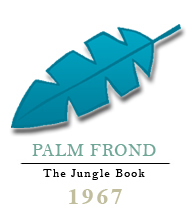 A palm frond was chosen in honor of the 1967 animated classic 'The Jungle Book.' This was the last film released that Walt Disney was personally involved with. When the Walt Disney Classics Collection made its debut in 1992, the original premise was to only release sculpts from those films that Walt Disney was involved with.